Engage with some of Boston’s finest artist-educators in studios purposely designed for ceramics, printmaking, drawing, painting, and sculpture. Continue your journey in art by immersing yourself in a stimulating and supportive environment. 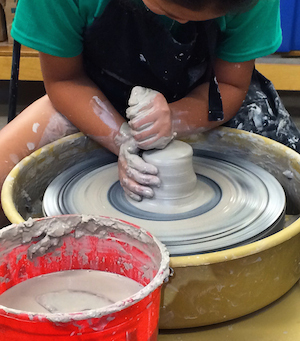 Work on a potter’s wheel. 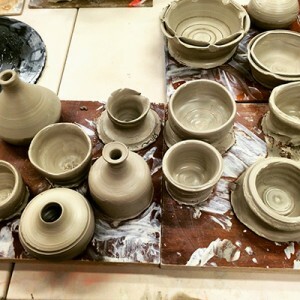 Learn to advance the skills of throwing pots on a potter’s wheel. 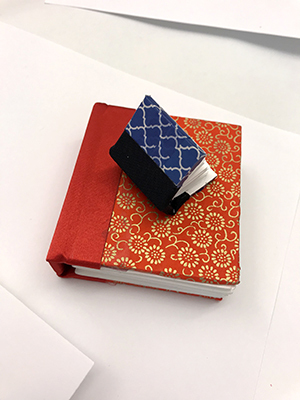 Create functional or sculptural pieces with unique patterns and designs using linocut to add texture. Hand-glaze your work and experience the surprises when the kiln is unloaded. Expressive imagination and close observation come into play through exploring a wide variety of media in works on paper. People, animals, and objects in nature, dreams, fantasies and abstract lines and forms will be suggested as stimulating and challenging subjects. 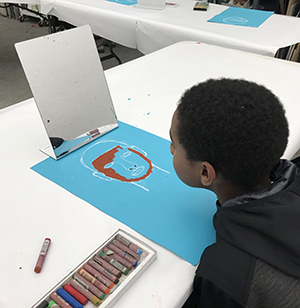 If your 5th grade child is not being dropped off to art classes by a parent or guardian, they must be enrolled the Snack ‘n Track program, or have an unsupervised arrival form.